Among all these activities, fishing is the prominent one. This is because, the lake is considered as the best Barramundi fishing in the world. Apart from these activities, it is a nice place to enjoy family picnic on the bank. Resorts are there to stay by. Nice place for weekend trips. Guided tours are arranged by the resorts. How popular is Lake Tinaroo? People normally club together The Bat Hospital Visitor Centre and Platypus Park while planning their visit to Lake Tinaroo. Beautiful lake and helpful people running the tourism stuff there, however the fishing was terrible. We were catching fish religiously but for two days straight we must of pulled in over 50 catfish... Literally no other species could be caught. 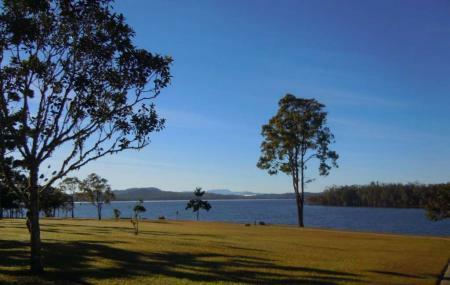 Fantastic place to go Camping, water skiing and fishing! Not worth the travel Google maps takes you to completely the wrong please some poor bloke ms back yard in fact. Hardly any water and not much to see at the dam wall. Lovely clean place fabulous for families.